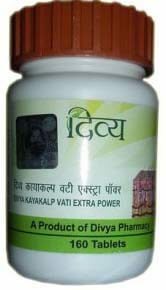 Divya Kayakalp Vati is an ayurvedic combination of herbs that helps to get rid of skin problems. It is an excellent herbal remedy for natural skin cure. Regular use of Divya Kayakalp Vati is helpful in giving you relief from acne and pimples. Divya Kayakalp vati is a blend of ayurvedic herbs that are traditionally believed to remove acne and pimples naturally by providing essential nutrients. It helps to rejuvenate the skin cells by essential minerals and vitamins. It helps to remove toxic substances from the blood and makes your skin clear and healthy. All the herbs used in Divya Kayakalp vati are natural and do not produce any side effects. This herbal remedy is beneficial for all the diseases of the skin. It makes your skin clear and healthy by removing all the toxic chemicals from your blood. Divya Kayakalp vati helps in the purification of blood and helps in the treatment of all the skin diseases. Divya Kayakalp vati is the best natural sin cure for acne, pimples and dark spots. Divya Kayakalp vati is one of the best acne natural remedy as it provides nourishment to the skin cells and helps to remove old acne scars. Kayakalp vati is a wonderful pimple natural cure. Divya Kayakalp vati naturally helps to remove dark circles under the eyes and blemishes from the skin by cleaning of the blood. Kayakalp vati helps to improve the skin tone by nourishing the skin with essential minerals and vitamins. Divya Kayakalp vati is a wonderful remedy to remove the age related spots on the face. It is best remedy to prevent wrinkles. 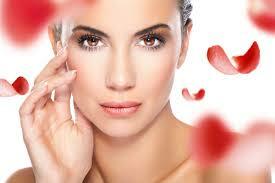 Kayakalp vati helps to give a young appearance to your face and helps to remove fine lines. Divya kayakalp vati is made up of natural ingredients. All the ingredients of this product are natural and safe and do not produce any side effects. The natural ingredients rejuvenate the skin and help to get rid of different kinds of skin diseases. Panvad beej (Cassia tora): This is a useful herbal remedy that has been found to be very effective in the treatment of skin disorders. It is a wonderful remedy for getting rid of eczema, psoriasis, acne and other skin disorders. It nourishes the skin naturally. Haldi (Curcuma longa): It is a natural anti-inflammatory remedy that helps to get rid of skin inflammation. It is a wonderful herb that has been used traditionally for healing of skin sores. It tones up the skin and helps to get rid of acne and pimples. Daru haldi (Berberis aristata): This is a natural skin remedy that produces wonderful results for the treatment of skin diseases. It makes your skin look healthy and glowing. It also improves the skin texture naturally. Khair (Acacia Catechu): It is found to be an excellent remedy for the treatment of leucoderma and other skin diseases. It helps to provide normal skin color by increasing the amount of melanin pigment. It is also a useful remedy for the treatment of dark spots and other signs of ageing. Karag (Caesalpinia bonducella): This herbal remedy is an excellent anti-aging herb. It helps to rejuvenate your skin naturally and gives a natural glow to your face. It helps to remove dark circles and discoloration of your skin naturally. It makes your skin look healthy and fresh. Neem (Azadirachta indica): Neem is a traditional herbal remedy that has been used in the preparation of numerous skin products. It has anti-bacterial, anti-fungal and anti-viral properties. It is a useful herb for the treatment of bacterial, viral and fungal skin infections. It gives a natural glow to your skin. Amla (Emblica officinalis): Amla is a natural remedy to provide vitamins and minerals to your skin. Amla is rich in vitamin C that brings a natural glow to your skin. 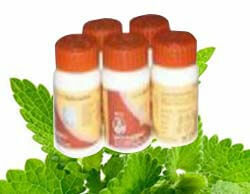 It is also a useful remedy for boosting up immunity. It helps to prevent recurrent skin infections. It is an excellent herbal remedy for acne and other inflammatory skin conditions. Manjishta (Rubbia cordifolia): This is an excellent remedy for all kinds of skin disorders. It protects your skin from recurrent infections. It provides natural glow to your face and make your skin look healthy. It also helps to protect against acne and pimples. Giloy (Tinospora cordifolia): Giloy is believed to be a wonderful herb for the treatment of inflammatory skin diseases such as eczema and psoriasis. It also gives quick relief from burning and itching of the skin. It protects your skin from the harmful rays of the sun. Chirayata (Swertia chirata): This is a wonderful remedy to enhance the beauty of your skin. It supplies proper nutrients to your skin and make your skin healthy and young. It helps to get rid of acne and other bacterial infections of skin. It is also a wonderful remedy for all kinds of skin infections. Kutaki (Picrorrhiza kurroa): This herbal remedy is believed to be rich in anti-oxidants. It is found to be an excellent remedy for the prevention of skin cancer. It helps to remove free radicals from your skin and gives your skin a healthy look. It also helps to remove dark spots from the skin. Dronpushapi (Leucas cephalotes): This herbal remedy may be used to make your skin healthy and young. It is a wonderful herbal remedy for skin disorders. It is a useful herbal remedy for different kinds of skin disorders. It helps to make your skin look healthy and young. Satyanashi (Argemone Mexicana): This herb is found to be very useful for bacterial diseases of the skin. It makes your skin cells active and prevents bacterial infections. It also increases the supply of blood to your skin cells. It gives a natural glow to your skin and makes it shine naturally. Katha (Acacia catechu): This natural herb is used for various types of skin disorders. It produces a soothing effect on your skin. It produces a cooling effect and gives quick relief from burning and itching of the skin. This herb is also useful for preventing recurrent skin infections. It is advised to take two tablets of Divya kayakalp vati, two times in a day after food with a glass of water. Divya Kayakalp vati is an excellent herbal remedy for skin related problems. It gives you natural skin cure. Divya Kayakalp vati helps to cleanse the blood from impurities and help to remove acne and pimples from the face. It helps you to look younger and make your skin smooth and soft. It is one of the best acne natural remedy. Divya Kayakalp Vati should be taken twice in a day. Take empty stomach in early morning and one hour before dinner with fresh water. This is a natural remedy and may be taken regularly without getting any side effects. It is safe to take for prolonged period as it does not produce any side effects. Fresh fruits and vegetables are essential for providing essential nutrients to the skin. Avoid consuming deep fried and unhealthy meals as they may worsen skin problems. Increase intake of fluids to wash out the chemicals from the body. Do not eat too much fried and junk food. Eating too much processed and preserved food can also aggravate the skin problems. Practice yoga exercises and meditation to release stress and get rid of anxiety. It is necessary to sleep for eight hours to get healthy skin and remain active throughout the day. A person suffering from skin diseases should avoid excessive drinking of tea and coffee. Other drinks such as alcohol and cold drinks should also be avoided. These may be replaced by fruit juice. When you go out in the sun, cover your skin to protect it from harmful rays of the sun. Do not take milk one hour before taking this natural remedy. Divya Kayakalp vati is a wonderful skin remedy that helps to get rid of skin problems easily and quickly. Make a combination by adding honey, oats, ground almonds and yoghurt. Apply this combination on your face for five minutes and clean with lukewarm water. You will get clean and clear skin. Get some mint leaves and prepare a paste by adding water to it. Apply it on the face and leave it till it becomes dry. Then apply water and clean your face. Take some tomato juice and mix it with honey. Apply this on your skin and then wash with water to get clean and glowing skin. Get some vegetable oil. Mix with honey and lemon juice. Use it on your skin for ten minutes and then wash with water to get soft and smooth skin. Add cucumber juice to the curd and apply it on the skin. Then rinse it off with water after sometime to get glowing skin. What is the concept behind Divya Kayakalp Vati? Divya Kayakalp vati is a wonderful remedy for skin ailments. The herbs present in this natural product bring changes in your skin. This product provides essential nutrients to the skin and eliminates harmful chemicals from the skin. It provides nourishment to the skin and gives you clean and clear skin. I’m 18 years old and was suffering from acne and pimples on the face. I was worried as I tried many creams and medicines but did not get any relief. I found Divya Kayakalp vati and used it for 3 months. I got excellent results and now my skin is free from acne and all dark spots. Thanks Rosy. I’m 21 years old and had blemishes on my skin. I used many skin ointments to get rid of them but did not find any solution. Then I used Divya Kayakalp vati which gave me excellent results. Now, my skin looks clean and fresh without any marks. Thanks, Mary.